Reliance Jio, which set an aim of selling five million JioPhones every week has now reportedly stopped the production of the JioPhone. The company is working on bringing an Android-based phone, which will replace the current model that runs Firefox OS-based KaiOS. The reason behind the decision is the KaiOS itself. As per a report from Factor Daily, Jio is rethinking its strategy of developing applications for KaiOS and is currently in negotiations with Google for bringing down the royalty of Android. “There are not enough apps compatible with KaiOS but people are working on developing special versions for the JioPhone,” says the report. Earlier this year, the same publication reported that Jio is working with Facebook and Google to launch stripped down versions of Facebook, YouTube, and WhatsApp for the KaiOS based JioPhone. However, it now seems like Jio realised that there’s no scope for KaiOS in the market, and already started working on an Android-based phone. The Reliance JioPhone comes preloaded with Jio apps such as JioCinema, JioTV, JioMusic, etc, but the source close to Factor Daily said that the Jio apps are not “not enough for its success.” However, it is still unknown whether Jio will continue selling the KaiOS based JioPhone. 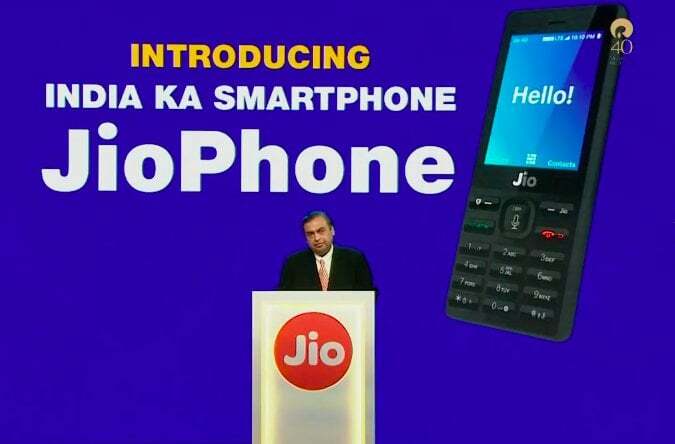 As per the report, Jio is looking to manufacture 10 million units of JioPhones with KaiOS before scrapping it completely, but before that, the company may announce the Android-based JioPhone. Reliance Jio has conducted only one pre-booking of the JioPhone, under which the company managed to garner six million pre-bookings. Jio stated that it received an overwhelming response and is still in the process of delivering six million JioPhones, even after two months. Furthermore, the report added that the company is not considering to decrease its goal of selling five million devices every week, but it’s considering a strategy change. So, expect the Android-based JioPhone to be at an affordable price. Recently, the JioPhone was also reported to be caught fire and Jio termed the incident as a deliberate one to mislead the consumers. Jio should recall all the Jiophones and refund full booking/ purchase amount ! Its not the operating system, it is the terms and conditions that failed this phone.